Ricci D. Kearney is a emerging writer and a true gaming enthusiast. After working for a marketing firm in Los Angeles, CA creating copy for movies, video games, and television, he is now pursuing his passion for entertainment writing while also earning his MBA. From selling video games, assisting with the creative marketing process, to simply playing his favorite games (anything WWE related) Ricci brings his varied experience in the video game world to GamerHub.TV. Should you reopen the door to this mystery? Find out inour review! Weird, obscure, and brilliant. All of these words can and have been used to describe the game Deadly Premonition. 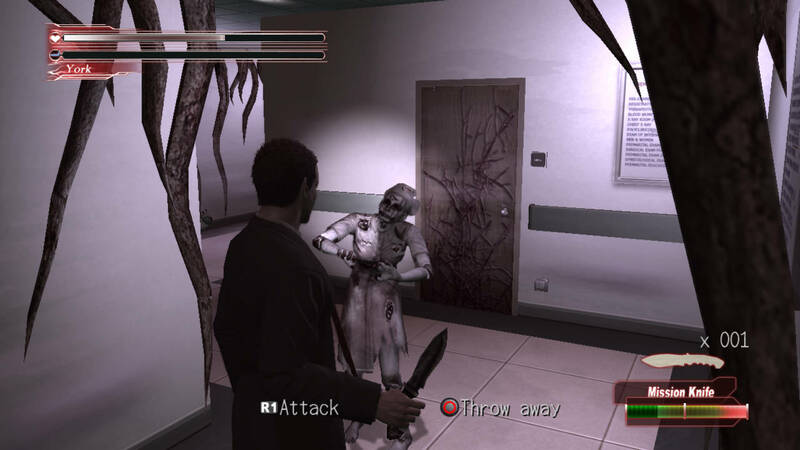 This survival horror adventure has been the subject of critical praise and criticism for years. The game is still debated even today. Now, 3 years after the original game hit store shelves, it returns in digital form in Deadly Premonition: The Director’s Cut. The game is a PlayStation 3 exclusive and adds a tighter control scheme and new cutscenes. Are these changes enough to open the door on this mystery once again? Find out in our review! The spritis are after you. The story of Deadly Premonition: The Director’s Cut remains the same as the original. The story begins with the discovery of a gruesome murder that is the latest in a string of killings by a demented serial killer. You are FBI Special Agent York who suffers from what appears to be a split personality disorder (his other personality is named Zach) and horrific nightmares. His nightmares are becoming more vivid and seem to connect to the murders he is investigating. His investigation leads him to the town of Greenvale where he begins to be tormented in the physical world by monstrous spirits. He works together with the Sherriff George Woodman and Deputy Emily Wyatt to find the Greenvale Killer. The latest in the serial killer's murders. The presentation of Deadly Premonition: The Director’s Cut is not as interesting as its plot. The graphics of the game are an example of how far gaming has come since the original. While there is an improvement, the changes are minor and the game still seems to be years behind its peers. While the character models are serviceable, the lack of detail and life within the environments along with texture and clipping issues anchor this game in the past. These are a few of the issues that this game shares with its predecessor and are a bit disappointing. 2nd installment of the DLC! Fighting evil by the light of the moon! Is the journey to Karnaca, the jewel of the south, worth your time?